Today, we open up a bottle of wine and learn about the grapes used to squeeze out the final product. Cheers! 1. What sweet wine grape, which is used in the crossword-friendly Asti Spumante wine, possibly derives its name from a city on the Gulf of Oman? 2. The color shown here takes its name from what grape variety, whose wine was first produced in the North Carolina area? 3. The Rhone Valley is the home of which type of dark-skinned grape, which has produced the French Côte-Rôtie and Hermitage wines? The grape is grown in Australia under the name shiraz, and shiraz wines have frequently won the Jimmy Watson Memorial Trophy, the highest wine prize given in Australia? 4. The “Bordeaux Blend” is a 70-15-15 blend of the wines of three different popular dark grape varieties. Name any two of the three. 5. The most popular grape grown in South Africa is what white wine grape, known locally as Steen, originally grown in the Loire valley in France? Learned League precedent (LL64, MD22) – What notoriously fickle but high-quality red wine grape variety, one of the three traditional champagne grape varieties (together with Chardonnay and Pinot Meunier), is the cultivar most associated with France’s Burgundy region, which is its viticultural home? Tomorrow: We say aloha to the pineapple! Be sure to subscribe to FCT, and feel free to share this site with your fellow foodies! 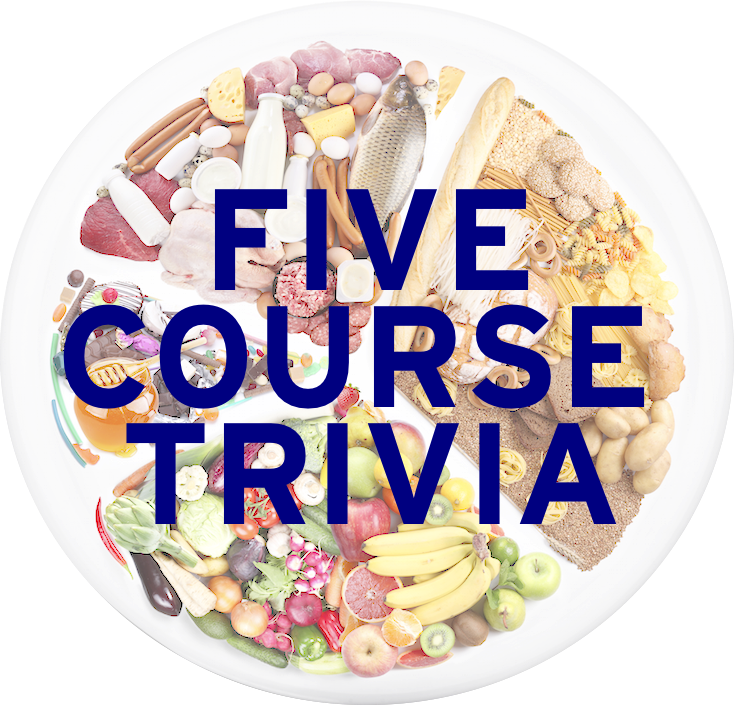 Trivia is a dish best served….not sure, but probably with friends.